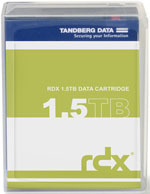 Tandberg Data, the owner of RDX technology and a global leader in data storage and protection solutions, announced that it received the Best Hardware Solution award for Product and Presentation at the 2012 Denver Business Technology Expo held in Denver. 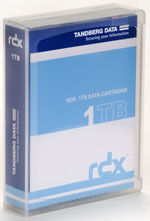 RDX technology combines the best of tape storage — reliability, portability and long archive life — and the best of disk -- speed, random access and ease of use. The Tandberg Data RDX QuikStor is compatible with common file systems and backup applications and is available with AccuGuard deduplication software that automates backups for users. With transfer rates of up to 650GB/hour, RDX allows users to access any file in milliseconds while cutting their backup window from hours to minutes.